Conversion is the lifeblood of your website. As with your body evildoers can enter your bloodstream and wreak havoc, stopping you dead in your tracks. If it happens you need to fix it, get a cure going! This article will go over some common evildoers that often wreck havoc on your websites. It’s the issues that stop your visitors in their track to your conversion. And you should get the issues fixed, conversion rate optimization provides a great tool to grow your business with current visitors. Time is money, or so they say at least. In the of case of conversion, it is very true. Several surveys show that even small improvements in your websites speed can cause huge lift in your conversion. Surveys done by Akamai and Gomez.com show that almost 50 % of all web users expect a website to load in under 2 seconds. Add a second and they will abandon your site en masse. Add to the fact that almost 80 % of all users will not return to a broken or slow website. Company Qubit found in a survey that 8% (4.35 % weighted average) mentioned slow websites as a key reason for abandoning their purchase. So what’s the effect of these numbers? Tag manager provider TagMan has done research in the field and it shows that for every second added on page load time you can expect a dropoff in conversion of about 7%. That is pretty massive. 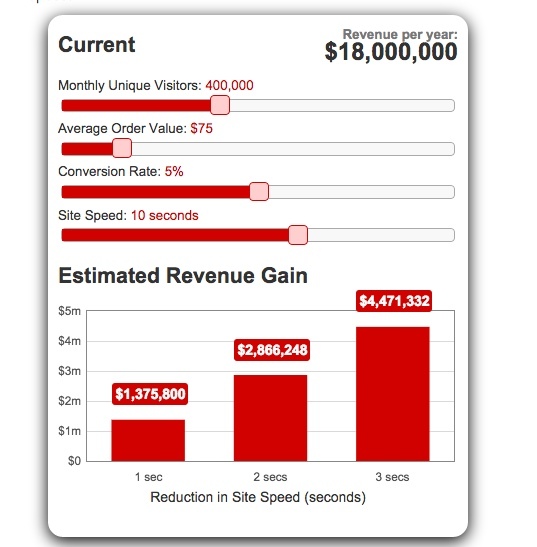 TagMan has a calculator where you can input your metrics such as visitors, average order value, conversion rate, and current site speed and see how much more you can earn by reducing your page load time. All of the above tools will give insight into what weighs down your site so that you can act accordingly and optimize your website. More and more users take to both their phones and their tablets when they surf the web. The trend is heavy growth in mobile devices and that trend will not slow down anytime soon. In the evolving countries, they are not getting computers, they are getting phones so the decision is easy of you want to grow you market. In the USA, 25 of all internet users only access the internet through mobile devices. With this growth comes a set of requirements on your website including adapting it for said mobile devices and their small screens. Not having responsive design will yield your website harder to use in smaller viewports, an issue that will cripple your conversion. Responsive design is about writing code and adapting your website to usage and patterns that are common to and functional on small viewports. 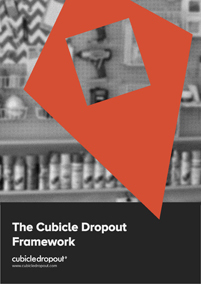 Just resize this window and notice how Cubicle Dropout transform. 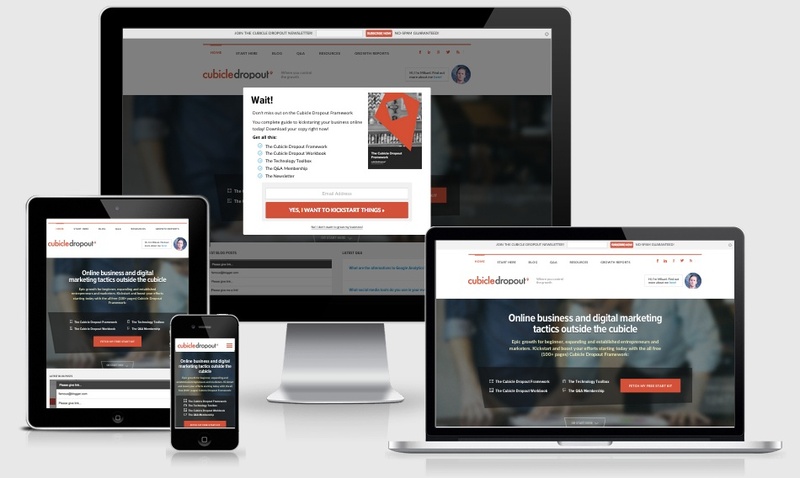 Research has shown that a responsive website show almost 11 % in increased conversions compared to a non-responsive. Others enjoy 10 times that! So making your web site responsive is key to gaining the trust of those mobile users and it’s a requirement you or your developer should consider when you launch a new website or are in process of developing your current. Another important part of high conversions is social proof. This is especially important if your not a big brand with enormous brand equity. Research show that social proof can lead to conversions as high as 70% if done right. You need to show your visitors that they can trust you. As a new brand with few customers, this is extra important. There are so many powerful suits out there today that can help you measure nearly everything on your website. Yet, I have come across so many websites and business owners that don’t measure a single metric. And by metric I mean business goals. If you are one of those that know that you don’t measure you should get to it straight away! The numbers in themselves will not help you. It’s in the ability to improve those number the value reside. Just getting a glance at what happens if you do X, Y or Z, even without a real strategy behind it, will give valuable insight that can grow to something bigger and organized. Take a few minutes learn how you can measure your website and you are off to a golden start! There is no other source that is more valuable to your website and business than your customers. Not only do they buy from you, they have interacted with you through your whole funnel ending up your customers at some capacity. They know your in’s and outs. If you do not talk to you customers you will never find out their biggest pain points. The issues they encountered and what you can do about it. But talking to your customers, doesn’t have to mean that you actually talk to them personally. There are ways you can extract that information from the lion’s den. Your customer service – If you have a customer service they talk to your customers or visitors every day. They will know what issues they have and what you need to to do to get them fixed. Surveys – Using surveys either during your users visit, at exit or after conversion can give valuable insight into the visitor and its behavior. I recommend using something like 4Q for simple and effective surveys. Live chat – While this technically might qualify as talking to your customers you will not have to do it in person. If you are driving traffic through any type of paid traffic source you have a golden opportunity to decide where that traffic should end up. And you know where and how the traffic ended up where it did. You know what keyword, banners or ads that brought them over. Limit distractions and choice – A dedicated landing page with fewer distractions and choices maximizes your chances of your visitors to convert. Every distraction and choice will have a clear goal of leading your visitor further down the conversion funnel. Communication – With a dedicated landing page, you have the ability to tailor communication in terms of images, elements, and layout but also the copy. You can strip much of the copy and focus it to achieve one goal, conversion. You will have the ability to use all common conversion elements that can help you aid your conversions. 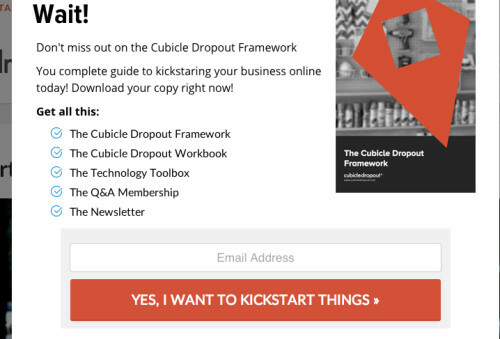 Final issue in this post is the value proposition. Your potential conversion rate is determend by your conversion rate and it is one of the most important important aspects of your your website and a such a very important conversion element. Your value proposition is why people buy from you, it’s what sets your product apart. Not in terms of features, but in the actual value to the buyer and what justifies the purchase. Your value proposition is the benefits you communicate minus the price you communicate and the perceived sum of those is your products or service value. Your value proposition. Bring your customer to it’s happy place! Give you customers a real number that he can present to his boss to convince him to buy. Tell your customer why kick your competitors a**. Note that your value proposition will be different for every user and visitor you get. You need to find the one VP that is most important or most common to all your visitors and you must communicate that you are the man in this area. This is just the tip of the iceberg of issues you can solve to grow your conversion rate. Question is, what else can you do? What should you focus on? Let me know in the comments!